Looking for something to soften your laundry, prevent static cling and leave your clothes smelling wonderfully? Look no further, the world of essential oils it’s so diverse, that it can offer an answer even for things like dryer sheets –that it may seem perhaps insignificant, but that in reality it make our lives a whole lot easier. Check out below the benefits of making your own dryer sheets and how to make them using essential oils. #1 They don’t contain toxins and other ingredients that are bad for your health. #2 You can change scents anytime you’re in the mood for something different. #3 Blend oils together to create unique fragrances. 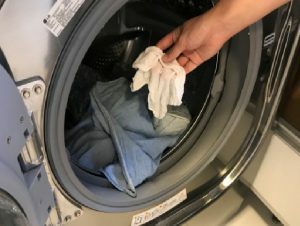 #4 Homemade dryer sheets are eco-friendly. #5 They’re economical, so they help you save money. #6 You get to choose your own scents so you have many more options than what you’ll find in the store. To make your own dryer sheets, you’ll need some washcloths, essential oils, an airtight container and white vinegar. 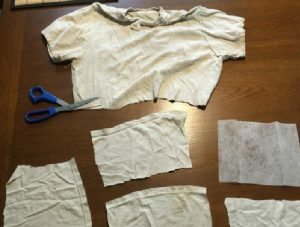 Instead of washcloths, you can cut a towel, or an old cotton tee-shirt into small sections and use it for the dryer sheets. 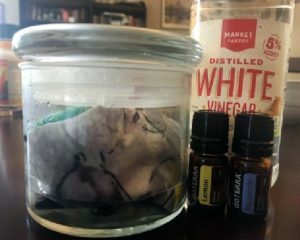 Pour some vinegar in a bowl, add your essential oils and gently mix (ratio for this is 1/2 cup of vinegar and 10 drops of essential oil: adjust with the size of your container). Pour the mixture into the airtight container and place your washcloths inside. To use, take one out, squeeze the liquid out, and toss it in the dryer before each load. Place it back in the container when you’re done. Voila!